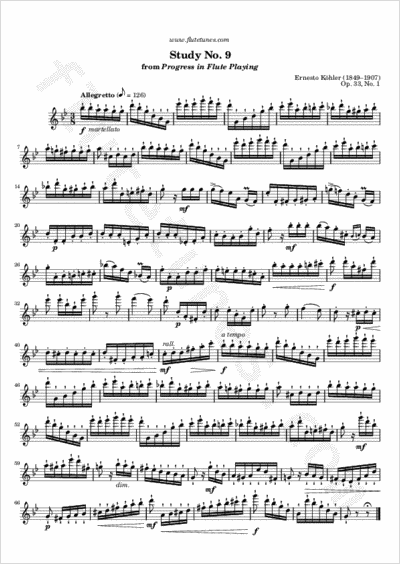 Here is another étude from the first book of Ernesto Köhler's Progress in Flute Playing. This triple-meter piece makes heavy use of articulation. It is marked martellato, which translates literally from Italian as ‛hammered’, thus calling for very strong accents.